How to fall in love with your job, once more? Why I love this book: The book questions the easy road to dissatisfaction, ‘exit’ - resignation from the company or switch to a competing product for a consumer. 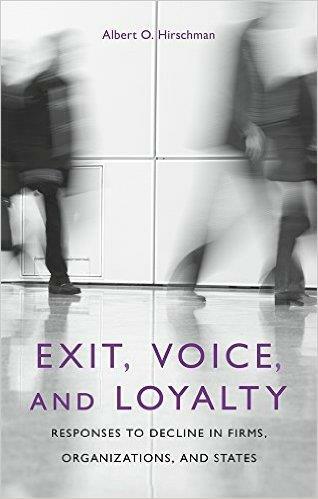 The book offers a powerful alternative, ‘voice’. This alternative provides a avenue to retarding ‘exit’, permitting ‘voice’ to help in improvement and innovation and leading to ‘loyalty’. Powerful insights for organizations to reflect on how providing ‘voice’ to employees can lead to improvement and loyalty. A classic from 1970 that is more relevant today than ever before as technology is adding to the power of both exit and voice. Who should read it: Leaders looking for alternative thinking to drive employee engagement. 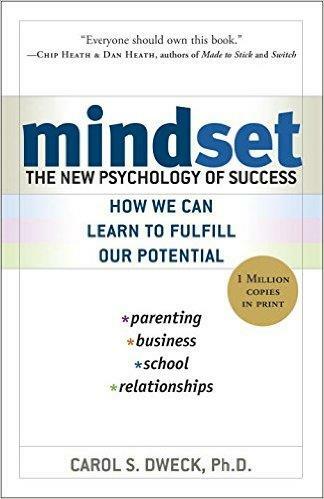 Why I love this book: Dweck extensive research captured in the book leads to a better comprehension of the importance that a person's mindset has in life and in success. People with a fixed mindset constantly struggle to recover from failures. On the other hand, there are the people with the growth mindset who look at life as an opportunity to learn. The author focuses on how coaches (teachers, managers or parents) can teach a growth mindset to learners and create motivation and productivity in the worlds of business, education, and sports. 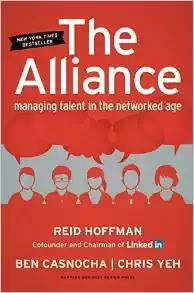 Who should read it: Must read for everybody responsible for talent development. The book in a Tweet: A person's #mindset often what gets in the way of an individual's development #BooksWeLove by Carol Dweck. 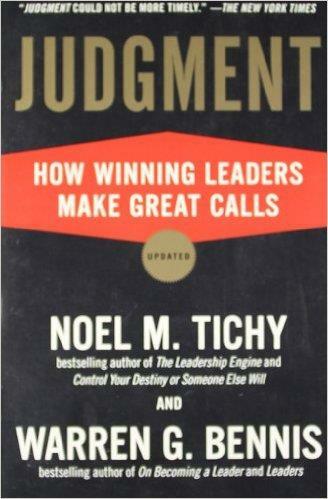 Why I love this book: This book breaks down one of the most critical elements of success – taking judgment calls. The author identified that judgment is not an event but a process. Identifying the need for a judgment call, frame the problem, mobile the right people and align them, take the judgment call, execute it and then finally learn to improve. Interestingly the authors reflect that there is a “redo loop” in the process that gives the opportunity to the leaders to go back to any stage at any moment. Awesome read, full of intriguing stories from corporate judgments (good and bad judgments). 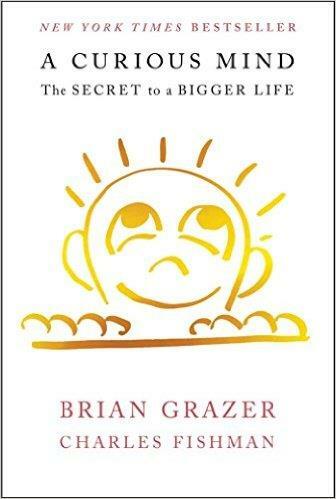 Who should read this book: Every CHRO and aspiring CHROs. For HR Leaders taking judgment calls and coaching CEOs and senior leaders on this process can prove to be a great competitive advantage for the team. Why I love this book: This books explores a new relationship between employers and employees, where employees are not considered ‘family’ but ‘allies’ on a tour of duty. The book explores what does that mean for organizations and how to manage talent that work with you for a particular time and for a particular duty. Who should read it: Must read for business and HR leaders exploring the future of work and the workplace. 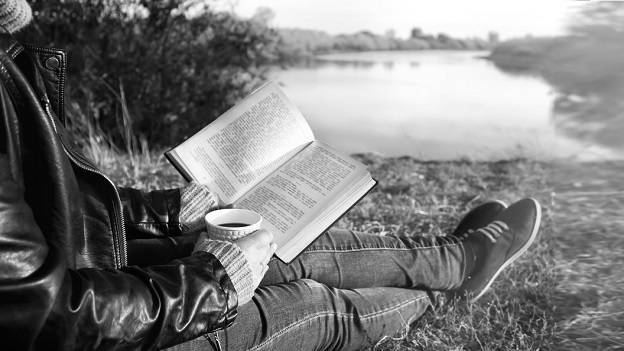 Why I love this book: The book is a compilation of thoughts about life and work with a clear objective to help the reader reflect about purpose, armory and happiness. A compilation of thoughts from Dr N.S. Rajan, a member of the Group Executive Council and Group Chief Human Resources Officer of Tata Sons. A must read of simple yet powerful words. 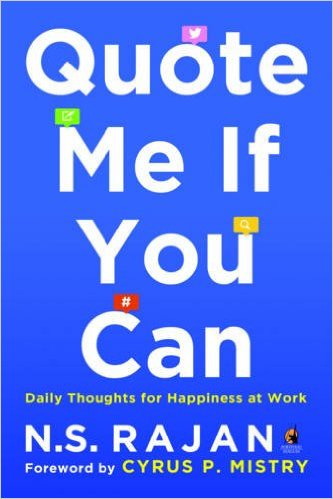 Who should read it: Leaders, managers, employees, anybody in the corporate ladder looking for daily reflections to find meaning and happiness in what they choose to do. 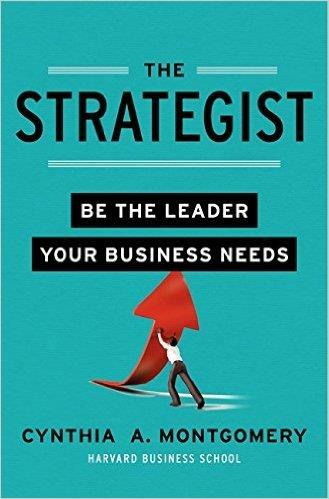 Why I love this book: The book introduces the powerful concept of the strategy wheel. Loaded with many examples, it builds up into what the wheel actually means and what it does for a company and a leader. The strategy wheel, in effect, is the different parts of a whole strategy. Once the strategy is clear, it then gets broken down its specific meaning across functions in the business — what kind of people we need to execute the strategy; what kind of culture; what marketing plan will align with this; what supply chain approach we should adopt and what finance philosophy we should follow, among others. All these pieces are then aligned to each other to achieve one unified strategy. What I love about the book: The author, one of Silicon Valley's most respected and experienced entrepreneurs, offers essential advice on building and running a startup—practical wisdom for managing the toughest problems business school doesn’t cover, based on his popular ben’s blog. 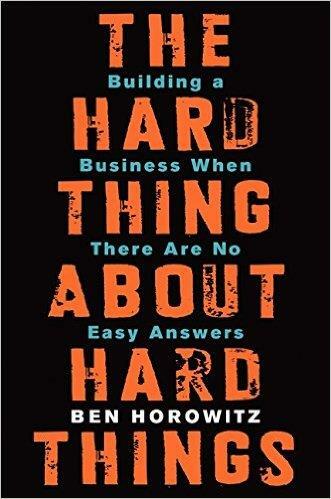 Horowitz analyses the problems that leaders have to solve while running businesses. Who should read this book: Professionals who want to take their understanding of running a business few notches up. Ester Martinez is the Editor-in-Chief at People Matters. Fourth Industrial Revolution: Where do Indian Executives stand?